Don’t give advice on subjects you have no personal experience on! Just because Joe Blow said so, is not experienced knowledge. Too damn many posting their “opinions” without any knowledge of the subject. Good luck with that. I’ve never personally walled around the earth so I guess it flat. I leaned the earth was basically round by reading about it but since I have no real experiences I should no say I think the world is round. Millions of pictures out there that prove the Earth is round! So then pictures and articles one reads can be passed ion as advice even though we haven’t actually experienced doing what the subject matter was personally . I have seen pictures of earth from space but I’ve never been in space to experiences it myself. I said pictures, not articles. I believe articles only if I know the author is legitimate. 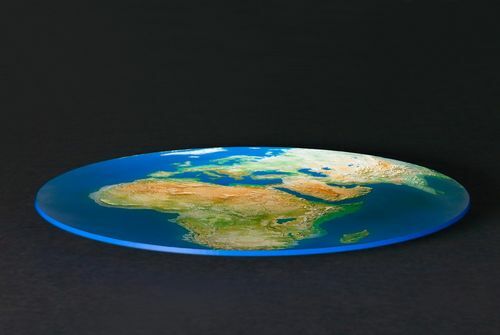 Of course the earth is round, just like a dinner plate. Be careful near the edge! You kids get off my lawn!! Don t give advice on subjects you have no personal experience on! Just because Joe Blow said so, is not experienced knowledge. Too damn many posting their “opinions” without any knowledge of the subject. My cousin’s best friend’s brother-in-law says that’s bull, papadan. And he knows what he’s talking about because he says he does. Seriously though, I’ve gotten into disagreements on here based on exactly what you’re talking about. I’ve posted things I learned firsthand, only to have someone say “that won’t work.” They never tried it, they just know because they know. I might make an amendment to your comment that says don’t post anything until you’ve read the thread. It’s annoying to see the same thing recommended multiple times with no reference to something like “Along the lines of what Joe said…” I think there are a lot of folks who think they know it all and they simply read the OP and respond. There’s often very little conversation that goes on, just individual comments in a vacuum. There was a funny one on here recently where someone posted a picture of a rough slab in the Projects area and was asking about a finish for it. It didn’t belong there, but no matter. Several posts said things like nice work, and beautiful job, making it pretty clear they didn’t read the post, since it was just a hunk of wood. Many post here have hundreds of post, some even have thousands. I’m not reading all of those post . If OP ask what color is Red I will answer directly to the OP …..Red. That purple heart thread started in 2011…. LOL. Got to admit I guilty answering those old thread every now and then. The grass is a fun place to play devil’s advocate. Yes 2011, but restarted a couple days ago with new players. You don’t tug on Superman’s cape. You don’t spit into the wind. And you don’t mess around with Slim.